Jaguar Fresh For Women is very feminine, sensual fragrance for young women. 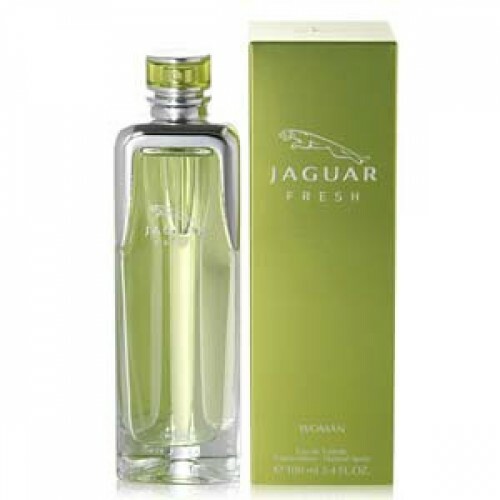 Jaguar Fresh For Women 100ml. EDT fragrance was created in 2006. Refreshing notes of water and floral bouquet magically beat chords and sweet green melon crust. The perfect solution for sports in sport hall and the great outdoors. Invigorating chords would be appropriate as an everyday fragrance in spring and summer. It is recommended to wear on the weekends as well as weekdays. it's very feminine, sensual fragrance for young women. It is full of vigor and vitality, she does not know what despair or disappointment, as believe that everything could be achieved only through their own efforts, and for that she will do everything possible and impossible. Complement its image helps Jaguar Fresh, which envelops her with playful shades of watermelon, pineapple, menthol, ivy, roses and vanilla, creating a truly magical aura around. this is a very feminine, sensual fragrance for the young woman. It is full of energy and vitality. She does not know what despair or disappointment, as believes that only can be achieved only through their own efforts, and for this she will do everything possible and impossible. Jaguar Fresh envelops her with playful hints of watermelon, pineapple, menthol, ivy, roses and vanilla, creating a truly magical aura around. Jaguar Fresh - art to be captivating and irresistible!